I used to like asking fellow critics and programmers which famous or ‘important’ films they would admit to having not seen. It was a good game to find out two useful things, 1. If everyone’s view of canonical films is the same and 2. Whether the person I had asked was secure enough in themselves to reveal a gap in their film viewing. One of the last times I asked this question was at a festival, and the group I asked were all men, mainly over the age of forty. Two of them answered happily (Rashomon and The Life and Death of Colonel Blimp were their answers) of the other two, one, after great hesitation chose (to my mind) a lesser known Howard Hawks film, Sergeant York and the other side-stepped the question. Now, I’ll say happily that I wasn’t aware that Sergeant York was selected for preservation in the United States National Film Registry by the Library of Congress, as a film of significance. I love His Girl Friday, The Big Sleep and Monkey Business, but Sergeant York wasn’t on my radar yet. Clearly it’s not for me to say how essential a film it is compared to Hawks’ other work. Personally, I love that I haven’t seen certain cinematic greats. It means I have them to look forward to, how brilliant! Years ago I took a friend to see a re-release of Casablanca and she’d never seen it before. How jealous I was that her first experience of the film was a beautiful 35mm print at our local arts cinema. 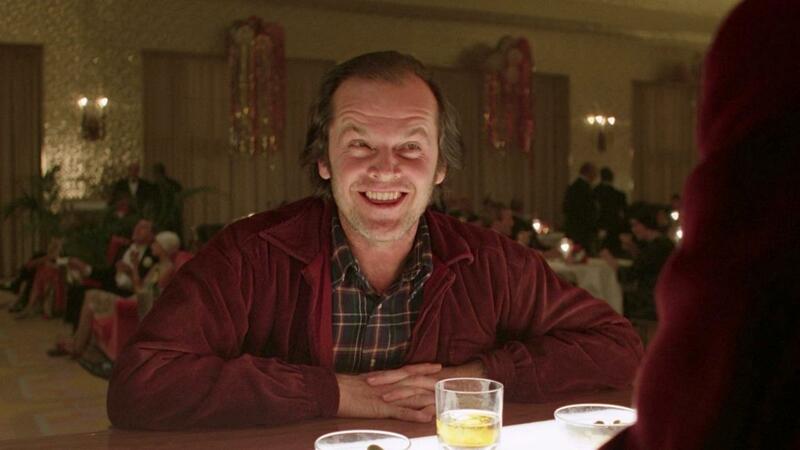 Would you agree that The Shining is an important film? My associations for it are all references elsewhere: Joey in Friends getting so scared he puts the book in the freezer, Tim and Daisy quoting Jack and Wendy when they view the flat in Spaced; ‘It’s really homey’ and finding identical twins in the closet; ‘it took forever. And ever. And ever.’ Now, in the spirit of watching things backwards, those references all make sense and sadly, I’ve got one more essential film behind me, having finally given in to my fears and watched it. I always thought of myself as someone who is afraid of scary films and have therefore avoided them (I still have Halloween to look forward to, for example). However, I love zombie films, werewolf films and generally any big creature feature, and this passion for monsters has made me reassess my fear threshold. I managed The Conjuring two years ago (albeit by burying myself in my friend’s shoulder), so in the spirit of 31 October, The Shining’s time had come. It might now be one of my new favourite films. Scale is one of the film’s great strengths. Kubrick’s rendering of the hotel’s massive interiors, the claustrophobia of the maze, the easy reveals afforded by Danny’s turns about the hotel corridors on his big wheel bike – it all makes so tangible the space the characters inhabit. The soundtrack too, by Wendy Carlos and Rachel Elkind, is just unrelenting in its stretching of tension to the limits. I then watched director Rodney Ascher’s Room 237, a documentary about the myriad hidden meanings that The Shining enthusiasts have found within the film. Contributors include Juli Kearns, who has undertaken a complete shot by shot analysis of the film and created maps for all the interiors of the hotel. Kearns introduces some of the ‘problems’ of The Shining such as the impossible window in the interview scene, and the significance of a Matador poster. Other theories from interviewees include one that posits Kubrick as the director of the ‘faked’ moon landing footage, who used The Shining as a way to subliminally inform his audience of his complicity in its creation and cover up. Ascher uses nifty animated graphics within scene analysis to guide the viewer through each theory of the film, pointing out background details and frame compositions. Some theories are more persuasive than others, such as the reading of the film as a critique of violence against Native Americans, but in each instance, the enthusiasm of each contributor is infectious. What could be more involving than being let in on secrets about a film and a filmmaker so famously complex? 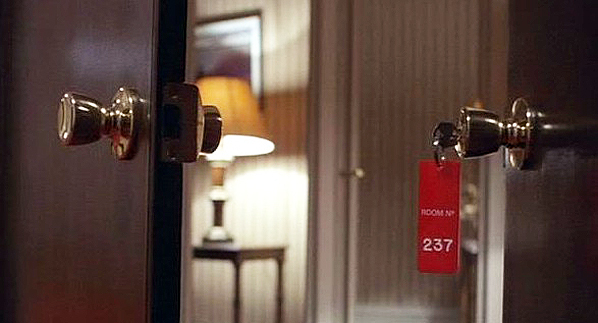 Room 237 is essential viewing for anyone who’s already seen The Shining and now having seen it, I intend to watch Kubrick’s classic again.